McKinsey uses different types of cases to BCG & Bain. After going through this short programme you will be familiar with the case format used by each firm which will avoid you any surprises on the day of your interview. Each of the cases in this programme are real cases from past interviews. They have been structured so that you can either do them by yourself or with a partner. 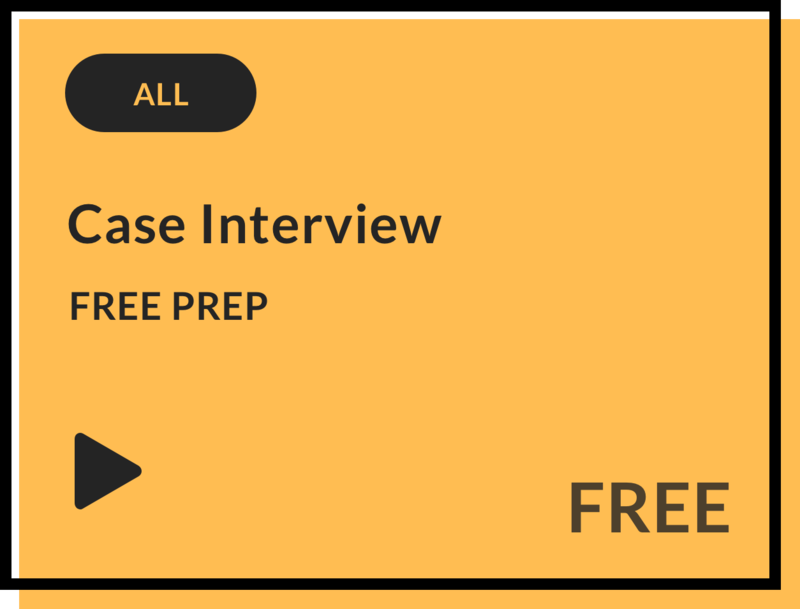 The Free Case Interview Prep includes a live case video extract where you can watch a best-in-class candidate solve the beginning of a case. For each question, detailed answers are provided which will help you make the most of your preparation. Feel you need more practice? Have a look at the McKinsey Case Interview Training Programme designed to help you crack the case and get a job at McKinsey. Or at the BCG & Bain Case Interview Training Programme if you are preparing for these firms. Stuck on a specific case interview question? Need help to answer quantitative questions faster? Our dedicated support team of experienced interviewers is at your disposal to help you fine-tune your preparation. You can contact us at support@igotanoffer.com for any questions on McKinsey, BCG & Bain case interviews.